The boys and I have used Birth of Jesus two years in a row to celebrate Advent. I love Grapevine Studies and so do my boys. Who doesn't love drawing stick figures? Right? 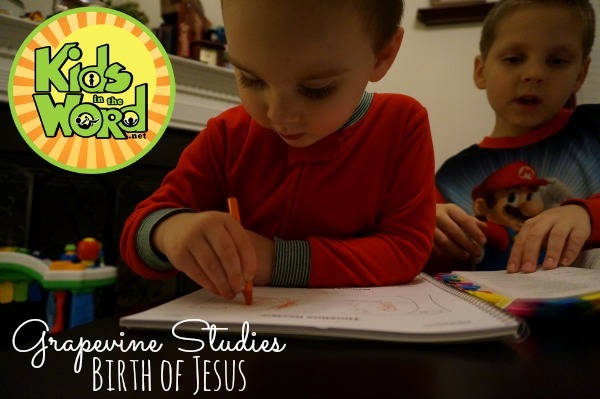 Grapevine Studies are easy to teach. The teacher's guide tells you exactly what to have your child do in their book. You guide your child through Bible readings, words to define, stick figure drawings, and memory verses. 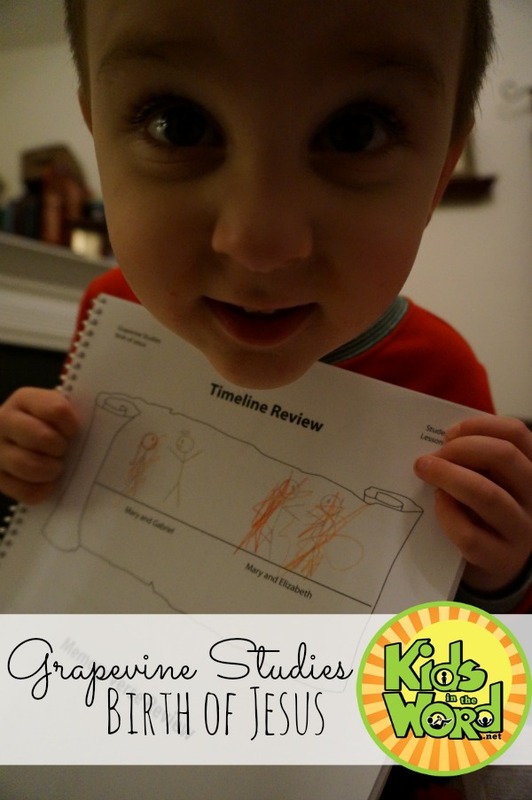 Jonathan likes following through the teacher's guide on the iPad and copying the drawings from there, but you can use a white board to draw the stick figures for your kids to copy. Jonathan always has such an intense look on his face when he is working, but I love the look on his face when he completes a section of the study. He gets so excited to see his finished product. 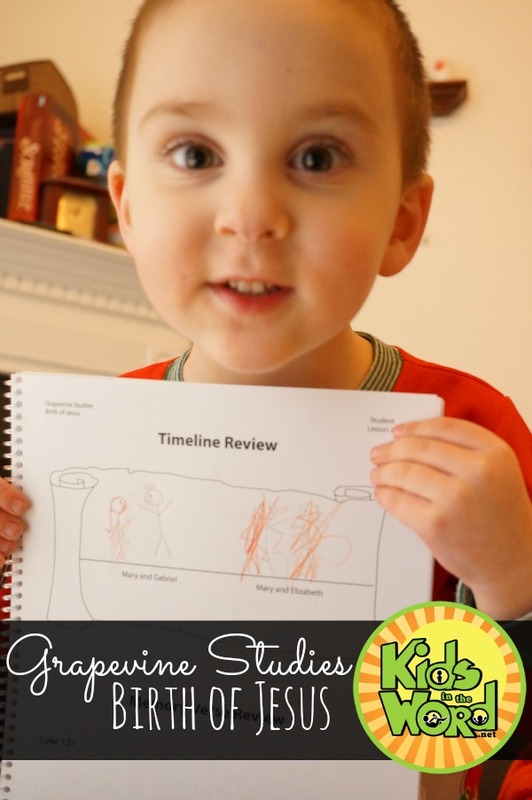 The stick figures are simple for kids to draw and help them remember the parts of the story. 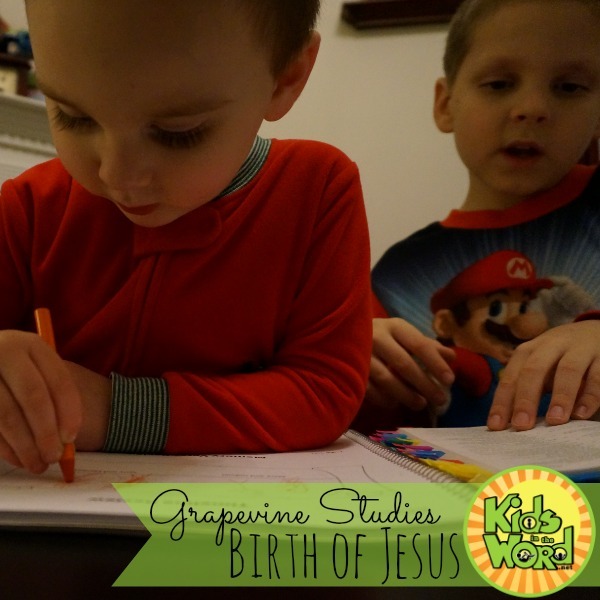 I love that my boys can now do Grapevine Studies together. 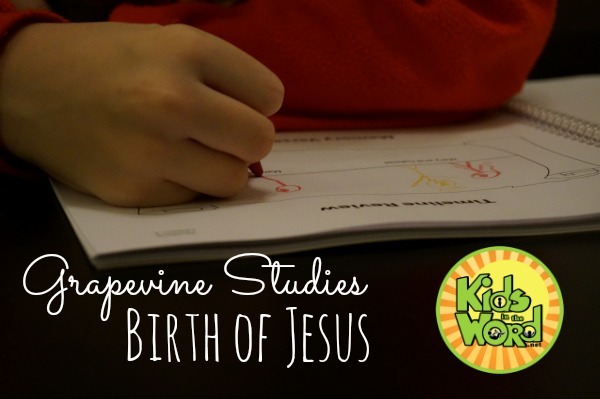 Last year, they added traceable studies to the line-up at Grapevine Studies. 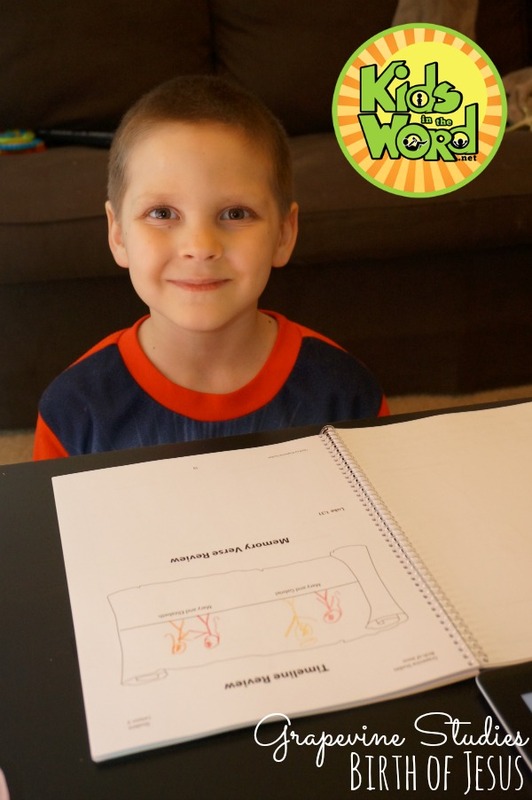 The traceable studies are great for your younger kids! Jacob worked hard on his drawings. 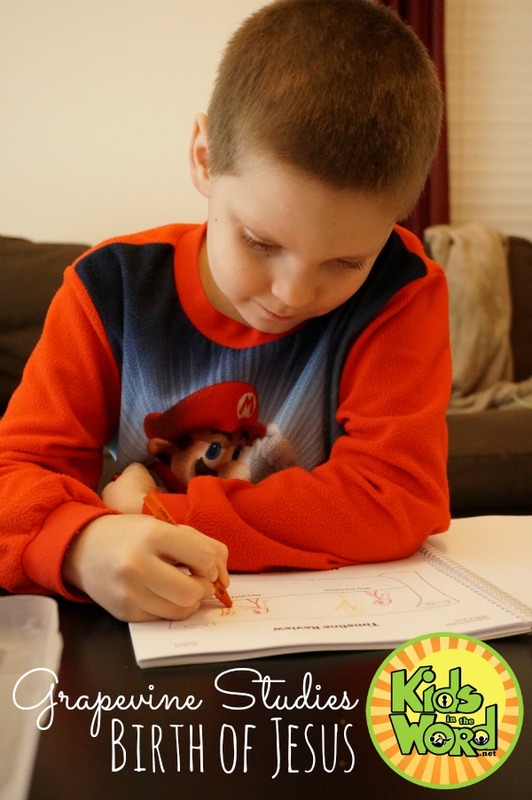 Between getting up and running around, between pretending to be superman and jumping off the couch, he worked on tracing the stick figures in his traceable student book. Jacob was only three when we did this study last year. Tracing was still a little above his level. Some days were better than others. But, he tried. When he didn't feel like tracing, he colored instead. He was excited to work and study alongside his big brother. See how proud he is of his work? 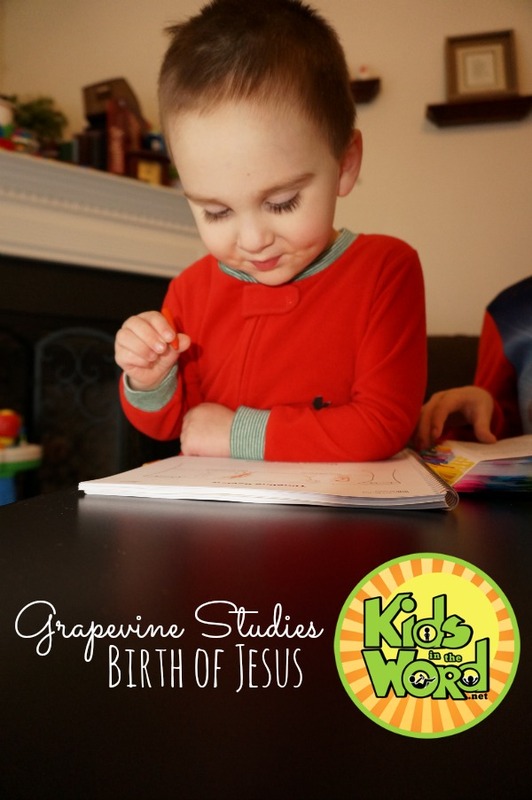 If you've never used Grapevine Studies, this is a good one to use first. It gives you a good feel for what Grapevine Studies are like without committing to a longer study. Birth of Jesus is 5 lessons long. That's 5 weekly lessons or 24 daily lessons. My boys like to do a whole lesson at once, which can take them an hour or more to do. 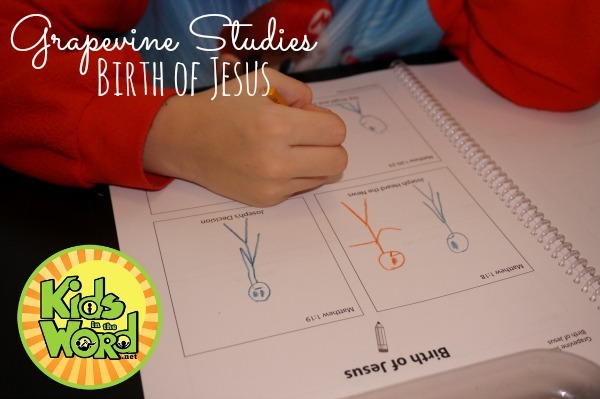 I love that Grapevine Studies are flexible. I can easily adjust them to fit my kids and their interest or attention spans. 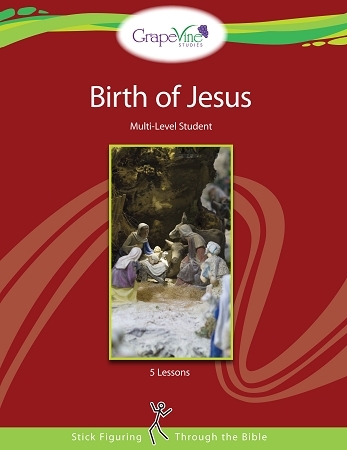 You can get a taste of the Birth of Jesus study by downloading this free eLesson on this page. Disclosure: We received Birth of Jesus in exchange for an honest review.